Blumsom Timber Centre stock moisture resistant grade P5 and P6 Chipboard which is the most commonly specified for flooring in the UK. It is used extensively in new house building and refurbishment projects. P5 is manufactured in accordance with EN312-5:203 and is the ideal product to use where high humidity is present or where there is a risk of a sudden increase in moisture. 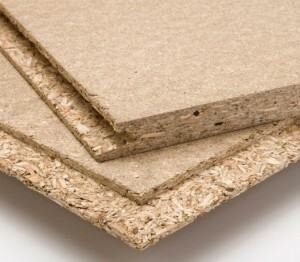 P6 Grade Chipboard has become the premium heavy duty particleboard specified by dedicated mezzanine T&G flooring and pallet racking manufacturers throughout the UK. Our P6 is manufactured in accordance with EN312-5:203 and is the strongest and most durable heavy duty particleboard available. All boards manufactured in accordance with EN312:2003. Should you need further assistance or require costings on additional sizes please contact us.